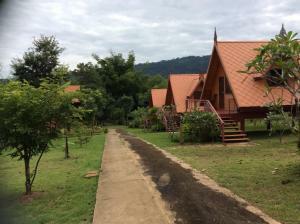 Located in Wang Nam Khieo, Taksina Garden Resort is a perfect starting point from which to explore Khao Yai. The hotel has everything you need for a comfortable stay. Car park, meeting facilities, concierge, smoking area are on the list of things guests can enjoy. All rooms are designed and decorated to make guests feel right at home, and some rooms come with air conditioning, heating, desk, balcony/terrace, soundproofing. The hotel offers various recreational opportunities. Taksina Garden Resort combines warm hospitality with a lovely ambiance to make your stay in Khao Yai unforgettable.